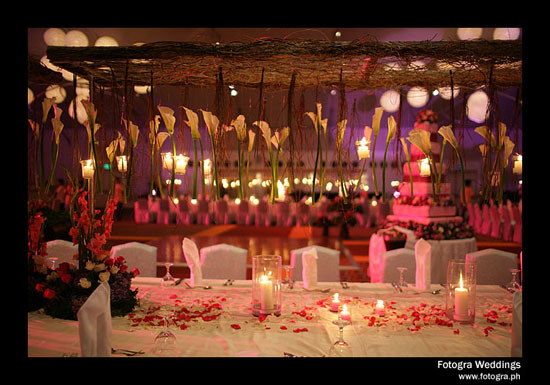 Though I had every confidence that Ms. Pinky Chang's team of Pink Flora and our very dear wedding planner Ms. Cielo Villegas of Blushing Bride would effectively pull off our desired Midsummer Night's Dream themed reception, still the moment I walked into the Shangri-La Marquee I was totally blown away. Our reception was magical, enchanting, surreal... like walking into a very wonderful dream. And the beautiful and very tasty cake created by Ms. Marissa Unchuan was the perfect complement.